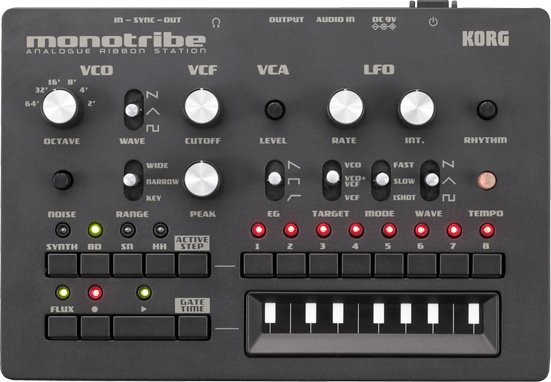 Monotribe, Analog Synth from Korg. 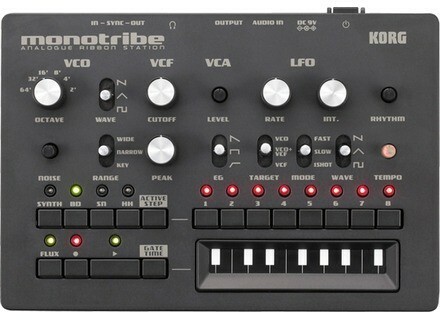 Korg japanese website announced the availability of an update for the Korg Monotribe firmware which adds a CV/Gate control. The new v2.11 firmware, that was launched late february 2013, adds a new CV/Gate control designed for controlling the Monotribe from the new KingKORG. CV and Gate signals are sent to the Sync Input, please note that it requires a 1/8" 4 pin connector. To install the update, download and play the Wav file through the Monotribe Sync In. You'll find more information (unfortunately only in japanese but Google Trad will help) on www.korg.co.jp. Grove Audio adds Eurorack modules to its catalog Grove Audio announces the launching of its Eurorack series, with the PM Resonator 3 channel filter as first module in this format. Waldorf unveils the Rocket Synth While everybody is waiting for Pulse 2, Waldorf surprises us with the new Rocket synth, which includes an arpeggiator. Minimal System Instruments goes modular After dedicating their activities to plugin creation, Minimal System Instruments announces three modular hardware in Eurorack format.